We are very fortunate in New Zealand to have long, warm summer days in which to enjoy our leisure time doing the things we love. There is nothing as delightful as having pool where you can relax and cool off. It makes it even more pleasurable knowing that you don’t have to contend with the traffic, lack of parking and crowds when you want to have a swim. There are more benefits to having a pool in your own back yard, then just being able to swim whenever you feel like it. When you think back to your childhood, there might be memories of visiting a favourite friend or relative who owned a pool. One of the joys of having your own pool is knowing that your children never have to visit someone else’s house on a hot day to use their pool. Once you have a swimming pool in your own home, you can be sure that your family will prefer to spend their time there on a hot summer day. In Auckland, we have the best of everything within very close proximity: mountains, lakes, and the ocean. By having a pool in your home, you are actually turning your house into a vacation home, where you can relax and chill out when it is hot, and then explore the beauties of the district when the weather is cooler. You may never need to go on holiday again. If you have a dream swimming pool in your mind that you want to have built in your backyard, all you have to do is contact your local Auckland pool construction company, and they will build it for you. The incredible range of size, shape, and colour is not the only thing that will make your pool a stand-out feature of the home; you can add fountains, waterfalls, and rockeries as well. The annual weather patterns in Auckland show that it is becoming hotter and sunnier for the last 5 years. By planning to have a pool installed in your home now, you can be better prepared for when the temperatures become warmer. Both adults and children benefit from the activities that can be done in a pool. Swimming, playing, and paddling all use up a lot of calories and create leaner muscle mass. The physical value is not the only thing that having a pool provides; sitting beside a pool after a hard day’s work is a peaceful, relaxing way to end the evening. If you have a water feature installed at the same time as your pool, the tranquil sounds of water trickling in the background give a meditative atmosphere to any area. If you have a member of the household who will benefit from the weightless aquatic therapy that can be performed in a pool, then don’t hesitate to call for a quote for a pool installation today. When it comes to increasing the value of your home, nothing can do that better than a swimming pool. Statistics show that, on average, selling a home with a well-designed pool installed in it will add 5% onto the selling price compared to a similar house without a pool in the same neighbourhood. This is why it is important to have your pool installed by a reputable and experienced swimming pool constructor in Auckland. They will have the knowledge and expertise to design and build for you the ideal swimming pool in the shortest amount of time, with the best materials and workers, and with the least amount of disruption. These are some of the benefits of owning a beautiful swimming pool in Auckland today. A purpose-built swimming pool is one of your property’s most important assets and should be treated accordingly. An above-ground pool is a lot of fun during the summer months and also needs to be well looked after. Here are some easy-to-follow tips on how to maintain the water inside your pool and its walls and surfaces too. Step 1: Putting chlorine tablets into a floating chlorine feeder. Buy test strips online or at your nearest pool supply store. They will indicate what is needed to be added during your weekly pool maintenance check-up. If you keep the chlorine level in your pool at 1 – 3 ppm, it will be optimum for pool use and its health. Not all chlorine tablets are created equal. It can come in 7,5 centimetres/3 inch and 2,5 centimetres/1 inch cakes as well as sticks, bottles, and grains, in a wide range of prices. They all contain bacteria-, microorganism-, and algae-killing chlorine; the cheaper the product, however, the weaker the chlorine concentrate will be. The 7,5 cm tablets are the most commonly seen chlorine pool cakes. An indication of a quality product is observing how it dissolves in the water. If the tablet begins to crumble after a few days, then it is poor quality containing too much binder and filler; good quality pool tablets keep their shape as they dissolve. 2,5 cm chlorine cakes are well suited to above-ground pools, spas, and smaller size in-ground pools. A concentration of 90 percent Trichloro-S-Triazinetrione is the best amount of chlorine for pools of all types. How you choose to disperse chlorine in your pool can also affect how long it lasts. Any pool supply outlet will stock automatic chemical feeders and floating chlorine feeders. They are a great help in dispersing the correct metered dose and if properly set, can give you a week or more of not having to worry about chlorine levels. Step 2: Adding Shock nocturnally every week. This an important step that should not be neglected. As the chlorine works to clean and sanitise your pool, it binds to other chemicals that are also present in the water, such as nitrogen and ammonia. After the binding occurs, the chlorine is rendered inactive; the resultant bonded molecular structure can cause a range of skin irritations. To effectively eliminate these combined chlorine molecular structures, it is necessary to add a weekly dose of pool shock treatments overnight, which gives it time to work before the pool is used again. Check the product instructions for dosage, but an average amount is usually 1,3 kilograms/3 pounds. The optimum pH balance for any pool is 7.2, but anywhere up to 7.6 is acceptable. It is important to test the pH if you are adding cyanuric acid or hypochlorite to the pool to extend the lasting effectiveness of the chlorine. If the pH is high, as most pool water is prone to be, adding muriatic acid, also known as Hydrochloric acid, or granular acid to the pool’s deep end while the pump is on, will rectify the problem fastest. Retest the water six hours afterwards to check, as factors like rainfall can cause the pool’s pH to “bounce”. A maintenance dose of algaecide is needed after pool shock. Algae is very opportunistic, and regular checking and dosing will stop your water and pool surfaces from becoming coated with this green pest. Step 5: Testing your swimming pool’s pH balance twice a week. Once you have your testing kits from the local pool supply stockist or website, make sure to make a habit of using them twice a week. This regular maintenance is much easier than it is to troubleshoot more serious problems if a week is skipped. Remember to always first adjust the alkalinity, followed by the addition of bromine or chlorine as needed. Then check the pH again to see it has returned to the optimum 7.2 – 7.6 levels. These regular pool maintenance habits will soon become second nature and will pay off big dividends when summer comes around. Swimming pool ownership is one of the most polarising purchases a person can make. On one hand, you get to spend your summers floating happily around in its cooling water and on the other hand you have to deal with the huge maintenance costs and rocketing utility bills. There are many ways to make your pool ownership more of a dream and less of a headache. Purchasing a cover for your pool does more than just protect it from falling leaves and other stuff. If you leave your pool uncovered the water evaporates at a much faster rate. A pool cover also keeps it at an ambient temperature for longer. There is a large selection of pool covers on the market: High tech automatic ones that can be retracted with the flick of a switch or covers that are placed and removed by hand that cost less than $100 (depending on size). Both options will significantly lower your utilities. Pool maintenance refers to things like keeping the pH levels at the recommended range, scrubbing off the algae and regularly checking the pool filters. This may call for stricter budgeting but it is far cheaper than the servicing fee a neglected pool will cost you. Fortunately, there are pool maintenance companies that can be paid to come and do the maintenance for you. All pool owners should be aware of the dangers of an unsafe pool environment. Building a safety barrier to cordon off the pool area should actually be done at the same time as the pool is installed. A reputable fencer will know to install kiddy-proof gate catches and it doesn’t hurt for everyone to learn some emergency CPR. Layout some pool safety rules and make sure everyone who visits abides by them. By installing a pool heater, you can considerably extend your swimming season. There are solar pool heater companies that guarantee their product makes it possible to use your pool all year round. A solar heater in the pool will help reduce your utility bill and can even pay for itself over a few years. The most effective way of cutting down the costs of pool ownership is to cut the planned dimensions down. It will be easier, quicker and cheaper to build and a smaller size facilitates the lowering of maintenance, heating, and filtering. You can look into investing in a harness (called a “stationary swimmer”) that allows the swimmer to do their lap training while remaining in one spot. A slide or waterfall feature in the pool can be an endless source of fun. An easy way to save on costs is to switch them off when no one is in the pool area. The water filter and pool cleaner do not need to be on all the time too. Basic chemicals like chlorine are a pretty pool’s top priority. If you skimp on quality pool chemicals and buy cheaper, no-name brands it might cost you in the long term as more of the product is needed to do the same job as the high-quality chemicals. Check the concentration levels on the side of the packaging before buying. None of these potential drawbacks should stop the lucky pool owner from enjoying their backyard joy for many summers to come. 1 to 5 years R.O.I. 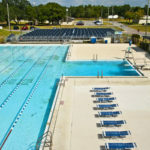 Solar Pool Heating is the most cost effective solar system available. From small domestic systems up to an Olympic pool type system, solar pool heating will Return your Investment within 1 to 5 years. "I’d put my money on the Sun and Solar Energy, what a source of Power! I hope we don’t have to wait until oil and coal run out, before we tackle that." Copyright © 2012 Heliocol NZ All rights reserved.